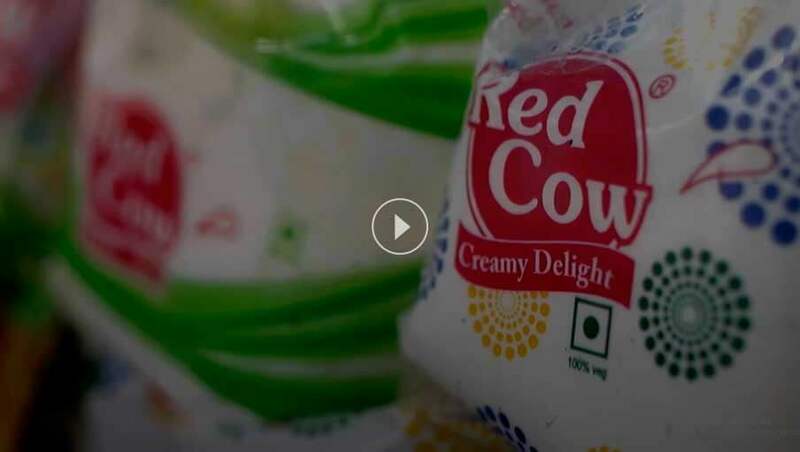 Red Cow Dairy / Blog /Is It Wise To Consume Pure Cow Ghee For Better Health? There is a notion that ghee is one of the leading hurdles in weight loss regimen. It is often outstated to be unhealthy and fattening. But this is not true. If consumed with proper portion control, ghee is good for health instead. Pure cow Ghee is a rich source of short chain fatty acids that provide a number of health benefits while supplying needed energy for cell lining of the colon. But make sure you consume only home-made, pure ghee without any preservatives. Store-bought ghee is artificially processed and contains preservatives that are not good for health. Let's have a look at how ghee acts as a superfood that you must add to your weight loss diet. This is important to check the essential nutritional facts of pure ghee. Ghee is basically a great source of different vitamins likes A, D, K and E. it also contains a good amount of dietary fats. These vitamins are fat soluble. They need fat molecules to be combined with in order to get digested. Best cow ghee provides the fat molecule in the form of essential dietary fiber. Together these vitamins and fat molecules perfectly absorbed by the body ensuring they can be used by the body, as required. If you consume pure ghee on a regular basis, it enhances your physical as well as mental strength and energy. It helps body fighting off ailments. People with cholesterol issues look for cholesterol free oils. However, they can also consider ghee in place of butter as the former contains less fat than butter. Pure home-made ghee lasts longer without requiring refrigeration. Lactose intolerant people can have ghee. Ghee is free of salt. Recent trend amongst fitness buffs is favoring ghee consumption as ghee is low in fat and can be easily digested. Ghee is often considered to stimulate the process of digestion, improve metabolism and thus aid in weight loss. It also maintains balance between the body and mind while enhancing the functioning of brain. As already mentioned, ghee contains fats which feature a lot of health benefits. Some fats are needed by the body to perform important body functions like supporting mental, nervous and skin health. It also protects the stomach lining from excessive secretion of digestive acids while strengthening cell membranes. And all of these functions can be solely done by pure ghee. Ghee fats are free of harmful Trans fats, hydrogenated oils and LDL cholesterol. This certainly makes pure ghee healthy. So you have already seen how ghee is important for your overall wellbeing. But before incorporating ghee to your regular diet, you must make sure you don’t take more than 10 to 15 grams of ghee in a day. Be careful and maintain this limit as suggested by a reputed Pure Ghee manufacturer. Never exceed this to ensure getting the best benefits of ghee. However, if you have a history of cardiovascular disease or obesity, it is better that you don’t take it without asking your physician.